Spinal decompression therapy is a non-surgical traction based treatment outcome for herniated or bulging discs in the neck and lower back. 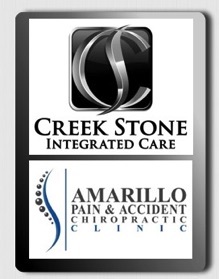 After a significant amount of research, the Amarillo Pain & Accident Chiropractic Clinic chose the Kennedy Decompression Neural-Flex System which we believe is the most technologically advanced, state-of-the-art decompression system in the world. In regard to clinical skills, Dr. Williams as well as staff members Linda and Emily have all completed the Kennedy Decompression Technique course work and passed the qualifying examination to achieve the status of Certified Practitioner in spinal decompression therapy. Yes! One study documented by MRI up to 90% reduction of disc herniations in 10 of 14 cases and other studies reported that the majority of herniated disc patients achieved "good" to "excellent" results after spinal decompression therapy. Click here if you would like to review the studies yourself. 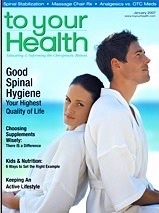 "To Your Health" Magazine featured an article about spinal decompression therapy authored by one of our doctors, James Edwards. In the article, Dr. Edwards discussed the safety and effectiveness of this non-surgical treatment for spinal disc herniations. Spinal decompression therapy is not recommended for pregnant women, patients who have osteoporosis, severe obesity or nerve damage. Spinal surgery with instrumentation (screws, metal plates or “cages”) is also a contraindication for treatment. 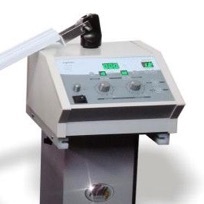 However, spinal decompression therapy after bone fusion or non-fusion spinal surgery, can be performed. 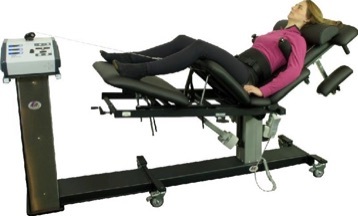 Spinal Decompression is normally a non-covered service unless you are a personal injury patient, however, when attempting to avoid surgical options, it’s important to keep in mind that the total charge for a full regimen of decompression therapy is likely MUCH more inexpensive than even the co-pay of the surgical alternative. We offer a very special, very low interest health care financing program set up with Amarillo National Bank that will allow you to make monthly payments. We have the program applications here in the office and can get approval on your first visit! We want to make it easy for you to learn if you are a candidate for spinal decompression therapy. Just call our office at (806) 355-3000 and ask to speak to one of our doctors. That's right, we'll talk to you personally to help you make the right decision. After scheduling your consultation, please remember to bring any MRI reports so the doctor can review them and best advise you about your treatment options.